Create a form for sending data to an email by following this tutorial. Then follow the steps below to add a select field with a list of generated dates. 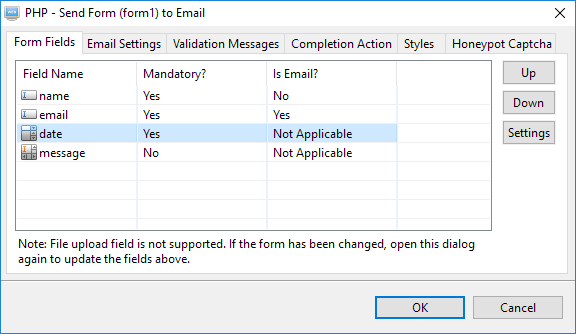 Insert an empty form select field to the form by clicking on this button on the toolbar. Rename the field to "date". There is no need to add any options. Open the "PHP - Send form data to email" element. Click on the select field "date". The "Settings" button will be enabled. Click on the "Settings" button on the right. 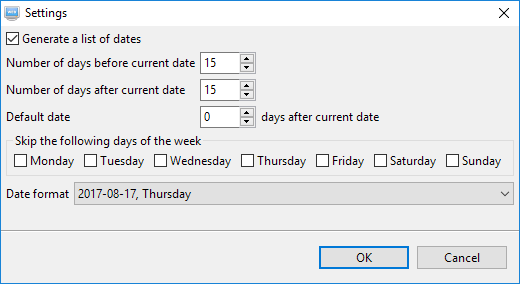 Select the option "Generate a list of dates". Then set the number of dates to generate relative to the current date. 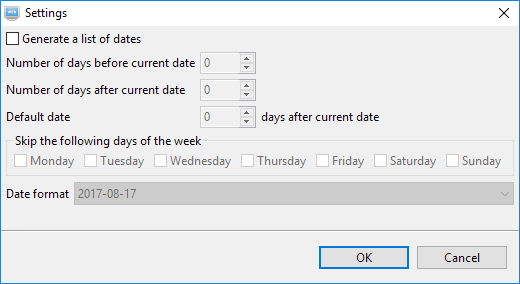 Select the date format. Save the settings and publish your page.